If you find no time to hit the spa, instead whip up a quick and refreshing cucumber and mint sugar scrub! Into a medium bowl add: sugar, puree and olive oil. Stir until combined. If you prefer mixture more firm add additional sugar. This DIY recipe was originally posted by Paula of Bell'alimento which we posted on Pinterest (follow us!) We hope to always keep you happy, healthy and looking beautiful. Breathe Free, Rootologists! Does the thought of taking time to relieve stress make you feel even more stressed out? Who has time for pedicures, massages, therapy sessions and long soaks in the bath? If you're feeling frazzled, there are lots of things you can do to calm down. Try these techniques to bust stress in 5 minutes or less. Grin and Bear It. Smiling, even when you don't feel happy, can instantly lift your mood. Instead of frowning, clenching your jaw, or tensing up your forehead in reaction to a stressor, grin and feel your troubles melt away. Try it now! Call a Friend. Sometimes, you just need to vent. Enlist the help of a good friend or close loved one when you need to de-stress. Often, just getting something off your chest will help you calm down and keep things in perspective. A five-minute phone call can help strengthen your bond, too. Take a Walk. Exercise, even when done leisurely, is a great way to relieve stress and boost endorphins, the feel-good chemicals in your brain. When you feel overwhelmed, go outside and walk for a few minutes. You'll be amazed at how much better you'll feel. Stretch. Ever notice how dogs, cats and other animals stretch throughout the day? They do it for the same reasons we do—it just feels good! Starting or finishing your day with some light stretches can help you de-stress and relax when you need it most. At work, you can try some neck, arm and chest stretches, too. Tune In. Anyone who listens to get-up-and-go music to get pumped up for a workout knows how much music can affect your mindset. Just as it can energize you or evoke powerful emotions, it can also help relax you. Choose the music you find most relaxing, whether classical, jazz, instrumental or something else. Keep it on your computer, in the car, and on your iPod in case of stressful emergencies. Tune in to relaxing music and tune out the world around you. One of the first steps towards having a pair of beautiful feet is to heal them. If your heels aren’t in perfect shape, sadly, there’s only so much a lovely pair of summery flip-flops would be able to do. Here is our simple home remedy that will help soothe and makeover your cracked heels, and let you step out in style. Do this every night to get rid of cracks and have beautiful smooth heels! Detoxification of your body through bathing is an ancient remedy that anyone can perform in the comfort of their own home. In detoxification circles, your skin is known as the third kidney, and toxins are excreted through sweating. A detox bath is thought to assist your body in eliminating toxins as well as absorbing the minerals and nutrients that are in the water. Most of all, it'll leave you feeling refreshed and awakened. Since bubble baths not necessarily being the healthiest, most nourishing alternative for your skin. Life goes on, and in much more luxurious, relaxing ways with our detox bath tips. Prepare your bath on a day that you have at least 40 minutes available. The first 20 minutes are said to help your body remove the toxins, while the second 20 minutes are for absorbing the minerals in the water. Add Epsom salts (aka magnesium sulfate). Soaking in Epsom salts actually helps replenish the body magnesium level, combating hypertension. The sulfate flushes toxins and helps form proteins in brain tissue and joints. Plus, Epsom salt is very inexpensive. Add 1 to 2 cups or more of baking soda (sodium bicarbonate). Baking soda is known for its cleansing ability and even has anti-fungal properties. It also leaves skin very soft. Add ground ginger or fresh ginger tea. While this step is optional, ginger can increase your heat levels, helping to sweat out toxins. However, since it is heating to the body, it may cause your skin to turn slightly red for a few minutes, so be careful with the amount you add. Add aromatherapy oils or fresh herbs. Again optional, but many people love the fragrance of such oils and for many, the oils have particular therapeutic properties to take advantage of. We're crazy for coconuts! Not only are they extremely nutritious and their content is quite rich in fiber, but they are an excellent source of vitamins and minerals. The coconut palm is actually viewed as the tree of life. And thankfully, its (very) long list of health benefits that is passed on from a generation to another has now for the most part been validated by modern science. TIP: Buy organic, unrefined, cold-pressed, extra virgin coconut oil. Heart-Healthy. 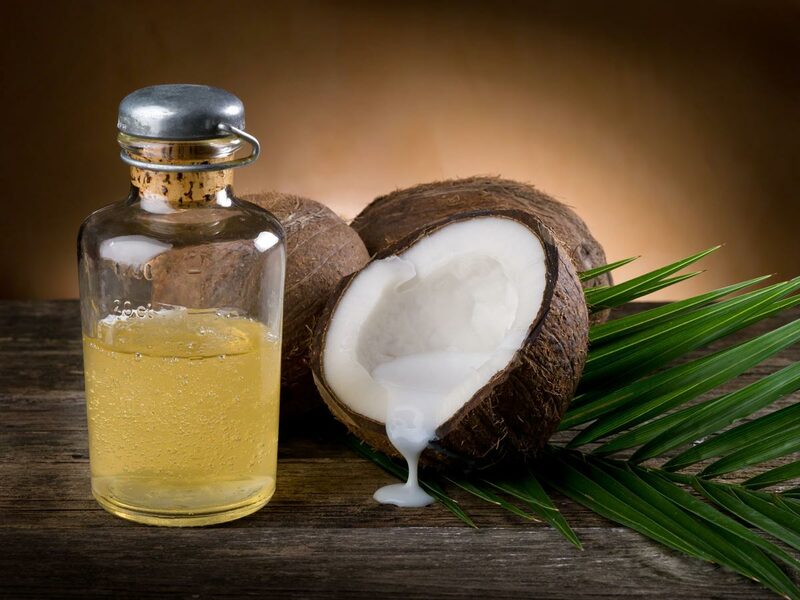 Coconut oil is beneficial for the heart since it contains about 50% lauric acid, which helps in actively preventing various heart problems like high cholesterol levels and high blood pressure. The saturated fats present in coconut oil are not harmful as you commonly find in vegetable oils. Skin Care. Coconut oil is an excellent massage oil for the skin as well. 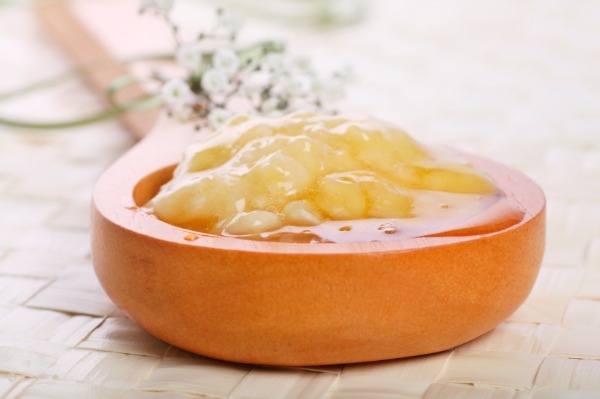 It acts as an effective moisturizer on all types of skin, including dry and mature skin. Its high moisture retaining capacity keeps the skin from cracking or peeling off. Try rubbing coconut oil on wrinkles and sagging skin can help rejuvenate it by strengthening the tissues. Applying the same method is also a great way to fight off skin problems such as psoriasis, dermatitis, and eczema. Immunity. Coconut oil is also good for the immune system. It strengthens the immune system because it contains antimicrobial lipids, lauric acid, capric acid and caprylic acid which have antifungal, antibacterial and antiviral properties. Weight Loss. Coconut oil is very useful for weight loss. It contains short and medium-chain fatty acids that help in taking off excessive weight. It is also easy to digest and it helps in healthy functioning of the thyroid and endocrine system. Further, it increases the body’s metabolic rate by removing stress on the pancreas, thereby burning more energy and helping obese and overweight people lose the weight. "Health Benefits of Coconut Oil." Organic Facts. N.p., n.d. Web. 04 Apr. 2014. Simard, P. "Coconuts Are the 'wonder Food' with a Multitude of Uses." NaturalNews. N.p., 27 July 2013. Web. 04 Apr. 2014. Zelman, Kathleen M. "The Truth About Coconut Water." WebMD. WebMD, n.d. Web. 04 Apr. 2014.